« Sears Kenmore Elite Trio finally fixed! Yep, FAIL again. We got home late and just so happened to have to put some items in it. 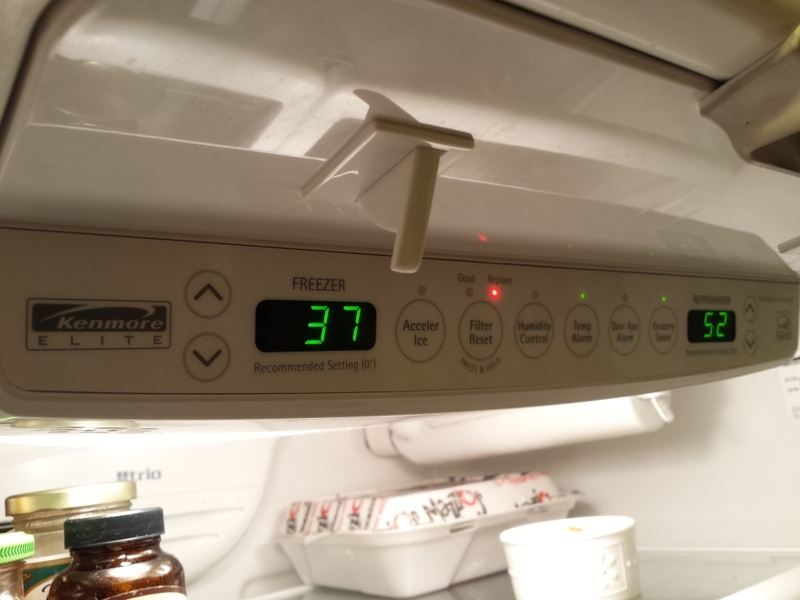 We found the temperature of the freezer to be 30 F and the frig to be at 47 F. My wife discovered it and called me in for the bad news. So fast forward to 3 to 4 AM, we had saved and thrown out all the food we could, a second time. Did I mention “again” and “second time?” Ugh. This ordeal started a while back, and we have been enjoying the feeling and comfort of it being solved for the last two weeks. 6/17/2015 first post: Sears Kenmore Elite Trio – 596.77593800 – The Lemon. This entry was posted in News, Reference and tagged Elite Trio, Kenmore, lemon, refrigerator. Bookmark the permalink. Post a comment or leave a trackback: Trackback URL.